"There is no Black and White situation. It's all part of life... Highs, Lows, Middles". taking time to reflect and unlocking some creative energy. What a wonderful conversion to black and white - with such lovely texture, so painterly. And a perfect quote to set the tone for this exercise. Ik krijg toch regelmatig complimenten over mijn foto's, maar jij kan er pas echt iets van. Geweldig zeg! oh my goodness. I love the poppies. Stunning. This last one is stunning. Je foto's zijn juweeltjes,iedere keer weer. I really love the poppies. They are very beautiful in black and white too ! Oh, zo mooi die klaprozen, Barbara ! and a great quote ! Wat een indrukwekkende klaproos, prachtige bewerking. Beautiful! I love poppies - that last image is amazing! 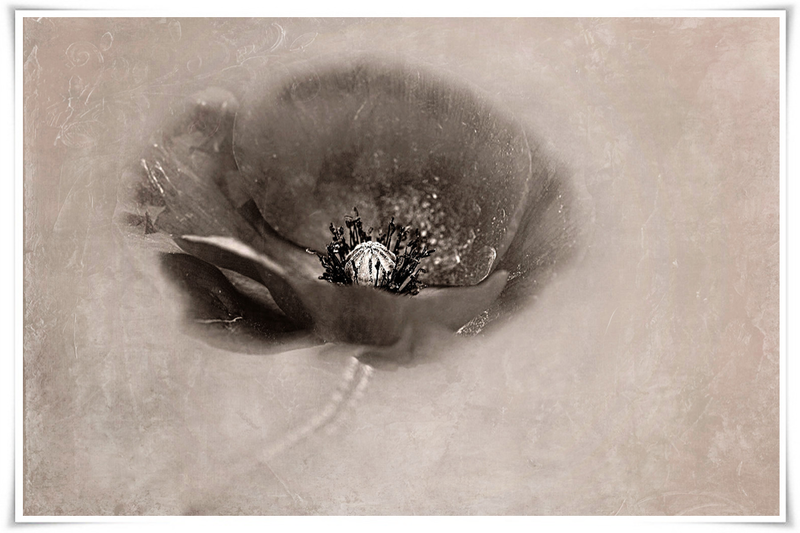 The black and white flower appears to be floating, lovely texture. Oh those poppies! And your edits! All so lovely. beautiful shots beverly! just love the drama in your b&w. i'm in be still 52 so looking forward to sharing this journey with you! The texture is perfect for the soft and playful poppy. Here I have to wait until they are blooming. Beautiful picture and texturing on this shot. The Poppies are beautiful, Barbara. You know, this is my State's flower. I love the Van Morrison quote too. He sings one of my favorite songs, "Brown Eyed Girl." Here's to me and you who love a good quote. 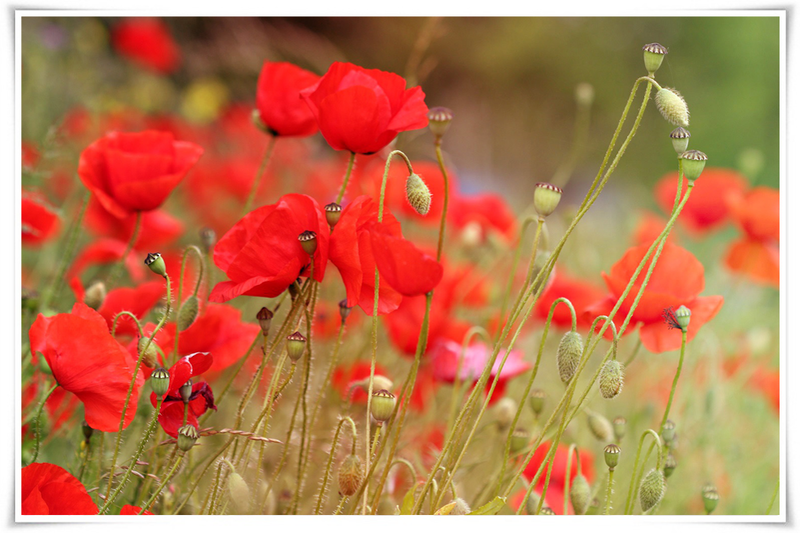 Such lovely captures of the poppies. I also joined Kim's class but yet to offer anything. I haven't slowed down yet!! Beautiful poppies, Barbara! Love the B&W texturing! it is lovely how the texture add so much to this image, I have learned so much about textures from Kim. I am sure you will enjoy the 52 weeks with her! Ik begin in herhaling te vallen, mooie foto's weer. Wonderful transition into B&W. Turns the image into magic. Oh, these are all wonderful! I saw the b&w image and loved it. Then I saw the colour version and loved it even more! And then I fell in love with the final photo, too! 'Duizendschoon' sounds much nicer than 'Bartnelke', more lovley. Like the Duizendschoon are! love! that black and white! and the tangled mess of poppies, to die for. The rabbits a a lot of mine and the ones they didn't get are mixed in with the daisies and iris. 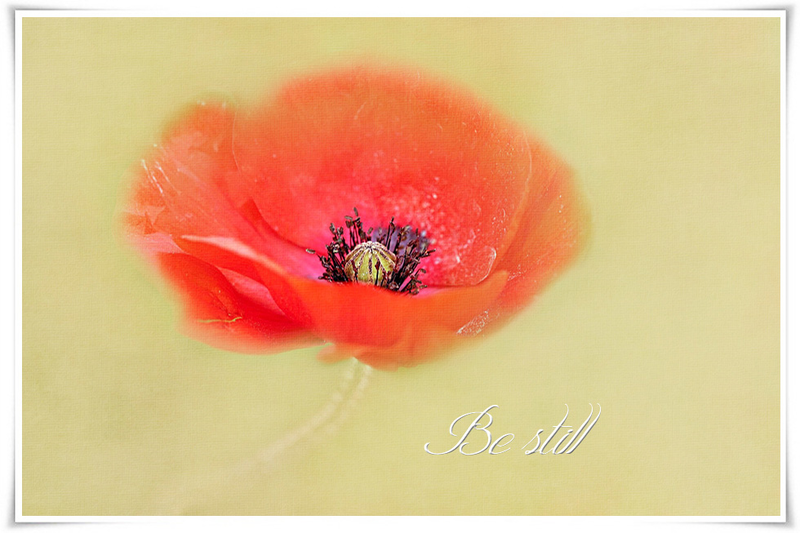 I like the red, wild poppy blossoms as well very much. Sometimes, when taking photos of these beauties, some of them have such an intensive red, the camera sensor can't depict anymore. At least that's my personal notice.